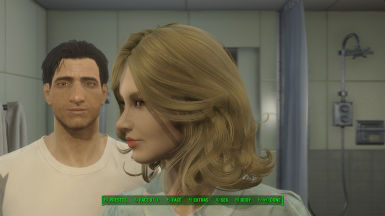 To complete the Girl Squad set, here is my makeover for Curie! 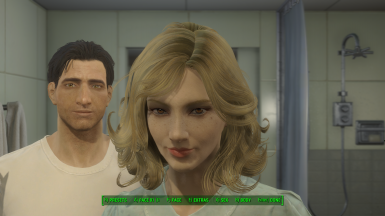 Curie already wears a lot of makeup by default compared to Piper and Cait, so I went for more of a glam look rather than the natural road I've followed so far. I wonder if they still have shopping malls in post-apocalyptic Paris? Make sure you give her something nice to wear to match her new look! She deserves it. 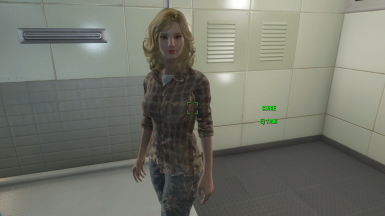 WARNING: Due to the nature of Curie's character, replacers do not work for her the same way they work for Piper and Cait. 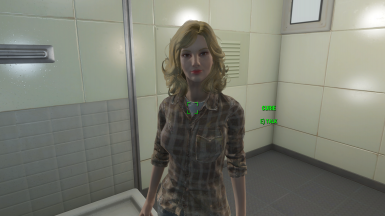 Replacers work, but unlike the human girls, you CANNOT change her face again by removing the mod or installing a new one. 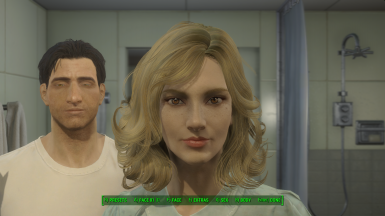 If you want Original Curie, or someone else's Curie, you'll have to start a new game.